Recent sermons preached at Rock City Church by Bishop Bart Pierce and other guest ministers. 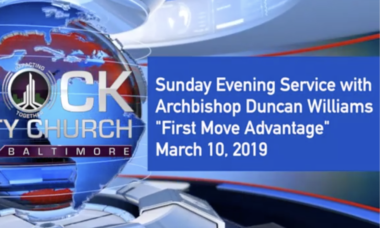 Here in the powerful message from Archbishop Duncan Williams, we hear how we need to take a preemptive strike against Satan. Many times, Christians are on the defensive instead of getting on the offensive. We need to have a First Move Advantage over Satan’s plans. Archbishop also shares the importance of winning souls and bringing people into the Kingdom of God to increase the harvest in the church.